I've been a regular listener to NPR since 2005. I learn a great deal from NPR. Then there are times when I wonder if they really get it. Something today struck me as ironic. 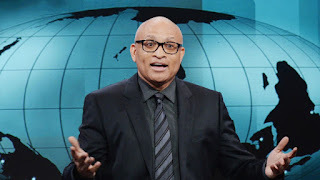 Today's MORNING EDITION show did a feature on the surprising news that Comedy Central had cancelled THE NIGHTLY SHOW hosted by Larry Wilmore. I watched his show frequently. In fact, I think I watched THE NIGHTLY SHOW more often than I watched THE DAILY SHOW with Jon Stewart. 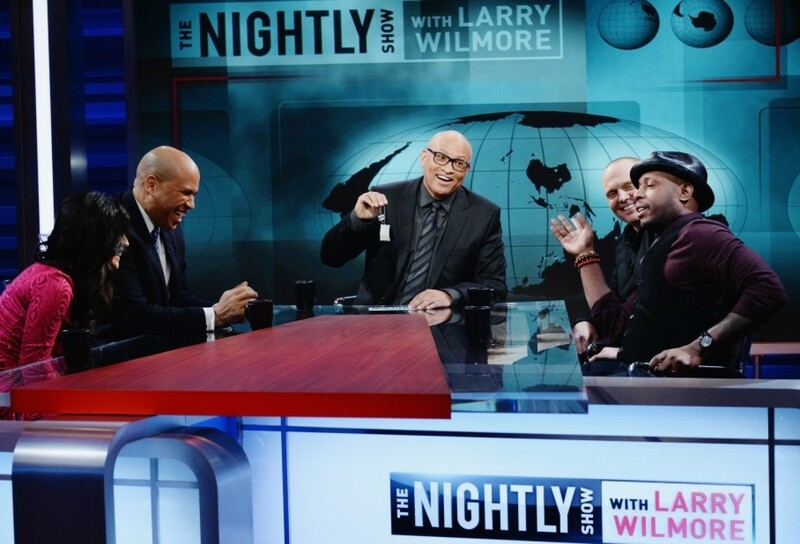 I was thrilled to see a middle-aged black man (who grew up in South Central L.A. the same as I did) host a political comedy talk show in late night. Or host any kind of talk show in late night. Larry Wilmore had given us The Bernie Mac Show. That hit sitcom had been rejected by ABC, CBS and NBC. Fox picked it up. Wilmore's sitcom production won a prestigious Peabody Award. On Comedy Central, he didn't have an easy task in these days of "Black Lives Matter," "Oscars So White" and Donald Trump running for president. 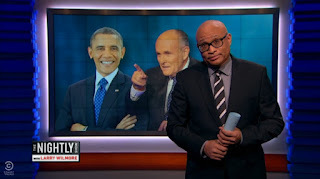 But Larry Wilmore did some good stuff and raised excellent points that needed to be raised. 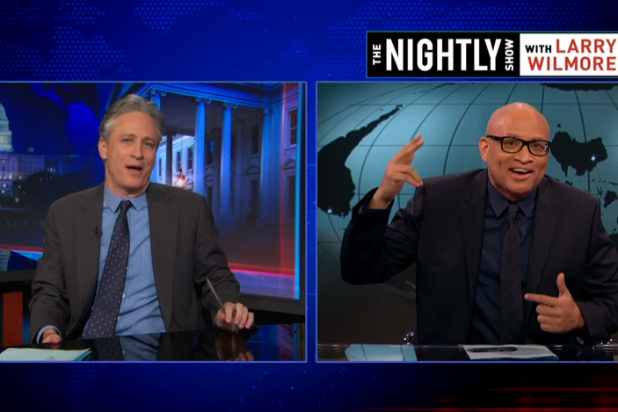 I did respect and appreciate Stewart's Emmy-winning and acclaimed THE DAILY SHOW. But, when the writing staff first started winning Emmys for its liberal news-talk comedy program, I thought this: "As much as they rag on the GOP for the lack of racial diversity, there's little racial diversity in the group of writers making Emmy acceptance speeches right now on TV! They look like the cast of Friends." That's what I mean with that line about wondering if liberal NPR features and programs "really get it." It's like the liberal upscale white buddy you've had for years who can't stand the racial exclusion he sees coming from the GOP, but then you realize that in all the years you've known each other, he's never introduced you to another black friend. That's 'cause he ain't got any. You're it. And if he can bring a guest to a brilliant classical music recital at Carnegie Hall or a swanky midtown cocktail party for some corporate bigwigs, he'll tell how the event was but he won't think to ask you along as the guest. However...if he gets two tickets to a show at The Apollo and has to go uptown to Harlem, you'll get a text asking if you're free and if you'd like a go along because....he's gonna be surrounded by black people! As black performers, we know that the playing field is not level. Larry Wilmore knows this full well. We are often overlooked, under-utilized, under-publicized or our history is just flat-out ignored or misreported. NPR's excellent FRESH AIR hosted by Terry Gross had a 5-day week-long special salute to late night hosts. Each one hour show for the week focused on late night TV entertainment talk show hosts. Terry Gross' week was co-hosted by frequent NPR contributor and TV critic/historian, David Bianculli. I listened to the whole week and wrote a blog post on it (August 29, 2013: LATE NIGHT WEEK on NPR). The 5-part series went back to the early days of late night hosts such as Steve Allen and Jack Paar. It took us through the days of Johnny Carson and Jay Leno. We heard from new guys such as Jimmy Kimmel, Jimmy Fallon and Seth Myers. We heard about those who failed in late night shows -- Joan Rivers, Chevy Chase and Pat Sajak. In the entire week, we never heard a soundbite from or heard any portion focused on Arsenio Hall. Remember how big a hit Arsenio's late night show was? Julia Roberts' character referenced him in Pretty Woman. Bill Clinton made pop culture history playing the saxophone on Arsenio's show. 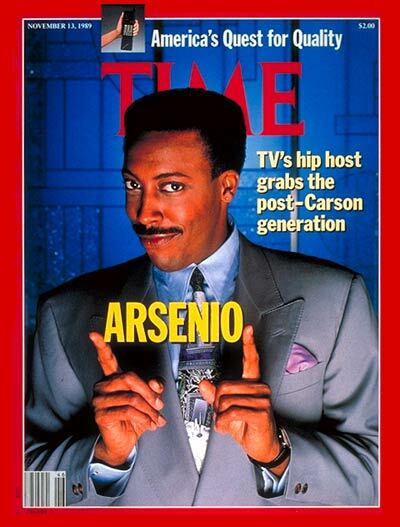 Arsenio made the cover of TIME magazine. His was a racially groundbreaking late night TV talk show. But he was completely overlooked by FRESH AIR in its week-long salute to late night hosts. Which made me wonder if any black people were on the immediate production staff to call attention to that fact. There should have been interview clips of Arsenio Hall in that series. Today, the MORNING EDITION piece of Larry Wilmore began with the host saying that the field of late night talk show hosts was predominantly white male and would be even less diverse now that Larry Wilmore's show has been cancelled. The report is done by Eric Deggans. I was a fan of Deggans' newspaper column before NPR hired him. He is a black man. I wish he'd been a contributor three years ago on FRESH AIR's week-long salute to late night hosts. Eric would have gotten Arsenio mentioned. Before their huge success on the TV series, EMPIRE, Terrence Howard and Taraji P. Henson were in the 2005 movie, HUSTLE & FLOW. Howard got an Oscar nomination for playing a pimp in that movie. David Edelstein reviewed the movie on NPR's FRESH AIR. He raved about Howard's performance and said the "new" actor was "like a young Samuel L. Jackson." I looked at my radio and said, "What?!?!" 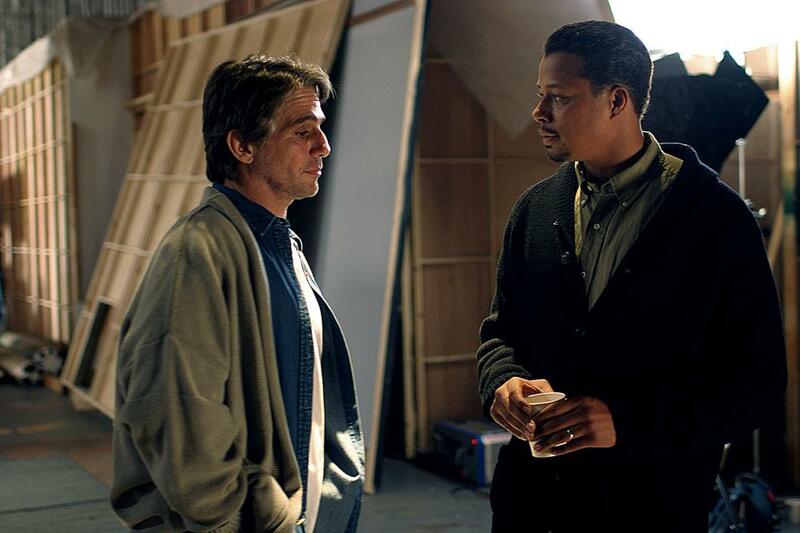 Terrence Howard was very well known to black audiences by that time. In TV biopics, he'd played a member of the Jackson Five of pop music fame, boxer Muhammed Ali and Dr. Martin Luther King's fellow Civil Rights leader, Ralph Abernathy. He played one of the high school music students in MR. HOLLAND'S OPUS, the film that brought Richard Dreyfuss an Oscar nomination for Best Actor of 1995. Howard had a very important role in the 2000 comedy, BIG MOMMA'S HOUSE. 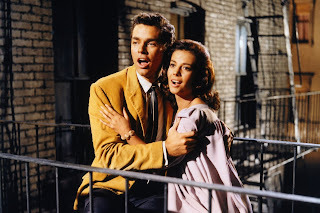 Not high art but a big box office summertime hit with black and white moviegoers. He played a network TV show director in CRASH, Oscar winner for Best Picture of 2005. My point is -- Terrence Howard was not like "a young Samuel L. Jackson." He was like a good, middle-aged Terrence Howard. But there were no black film critics/historians on NPR to say, "David Edelstein...let's talk." That's what I mean about our history being overlooked. Or misreported. My other example is Jeffrey Lyons on NBC giving credit for Dr. Martin Luther King's TONIGHT Show appearance and interview to Johnny Carson. This was during Lyon's obituary piece on the late Johnny Carson. Carson didn't book and interview Dr. King in 1968. 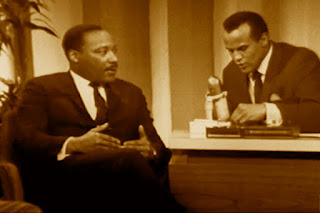 That was the work of King's friend, Harry Belafonte. Belafonte substituted for Johnny Carson the whole week he was on vacation. Reporter Jeffrey Lyons was wrong -- on a network news program. Belafonte interviewed Dr. King that night on NBC. That's probably still the longest amount of time we've seen a black performer host the TONIGHT Show on NBC. I will miss Larry Wilmore so much on Comedy Central. The late night talk show color wall is a tough one to crack. And I have big love any minority who had the balls or brass ovaries to charge through it. In the future, I hope NPR remembers that Larry Wilmore was there. Like Arsenio Hall was. 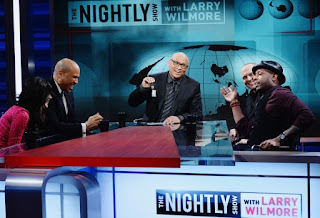 Again, I loved THE NIGHTLY SHOW. Larry Wilmore, thanks for keepin' it 100, bruh. To read or hear the Eric Deggans segment, go to NPR.org, click into Programs and find the MORNING EDITION for Tuesday of this week. Wilmore's last show airs this coming Thursday.